Are you a morning person? Because most of us aren't. As far as we're concerned, the morning is tough enough without having to stir your boiling cup of coffee or tea. 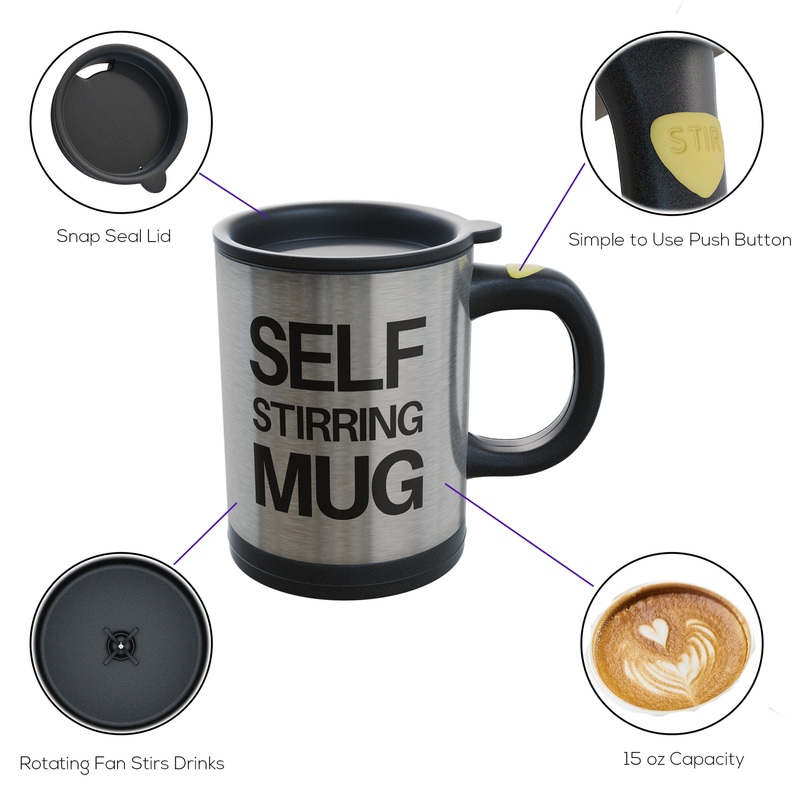 Introducing The Incredible Self Stirring Mug! How does it work you ask? A tiny battery-powered impeller at the bottom of the cup spins rapidly at the press of a button to swirl the liquid around. Press the button on the handle and cup will stir itself! Stop stirring your own tea. Let the machines work for you by pressing the 'Add to cart' button now!